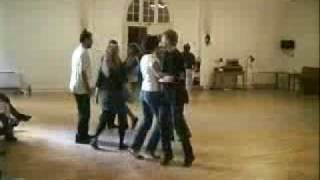 The dance of the week for this week is an Irish set dance, the Gortroe Set. A very easy and short (only 4 figures) dance. Click through for notes and video links. 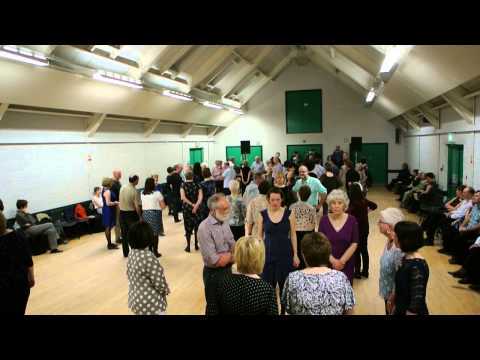 Second Nature is a new Sean Nos (or “single turn dancing”) DVD out by Edwina Guckian featuring a variety of Sean Nos steps from and narratives about country Leitrim, Ireland. You’re an Irish dancer and you’ve run across a music session in which the players have got some serious craic going on. The music is making your feet move on their own and you can’t stand it anymore. You’ve got to get up and dance. You jump up, perhaps even pull some fellow dancers along and begin dancing. But stop. Before you head over to join the musicians, consider the following. The Dance Of The Week for this week is another popular Irish set dance, the Aran Set. It’s a short set that’s got some intricate first and second figures and ends with a nice easy mixer. Click through for notes and links to music and videos.